As we move from our study of DC circuits to AC circuits, we must consider two other types of passive component, ones that behave very differently from resistors--namely, inductors and capacitors. Resistors are characterized only by their resistance and by Ohm’s law. Inductors and capacitors change the phase of their current relative to their voltage and have impedances that depend upon frequency. This makes AC circuits much more interesting and powerful. In this chapter, you will see how the use of phasors will permit us to characterize all passive components (resistor, inductor, and capacitor) in AC circuits by their impedance and the generalized Ohm’s law. but this form does not contain the phase information , which plays such an important role in AC circuits. An inductor is a length of wire, sometimes just a short trace on a PCB, sometimes a longer wire wound in the shape of a coil with a core of iron or air. The symbol of the inductor is L, while its value is called inductance. The unit of inductance is the henry (H), named after the famous American physicist Joseph Henry. As inductance increases, so too does the inductor's opposition to the flow of AC currents. It can be shown that the AC voltage across an inductor leads the current by a quarter of a period. Viewed as phasors, the voltage is 90° ahead (in a counterclockwise direction) of the current. In the complex plane, the voltage phasor is perpendicular to the current phasor, in the positive direction (with respect to the reference direction, counterclockwise). You can express this by complex numbers using an imaginary factor j as a multiplier. You can see that the three forms of the generalized Ohm's law--ZL= V / I, I = V / ZL, and V = I * ZL--are very similar to Ohm’s law for DC, except that they use impedance and complex phasors. Using impedance, admittance, and the generalized Ohm’s law, we can treat AC circuits very similarly to DC circuits. However, since these equations do not include the phase difference between the voltage and current, they shouldn’t be used unless phase is of no interest or is taken into account otherwise. so the voltage is 90° ahead of the current. 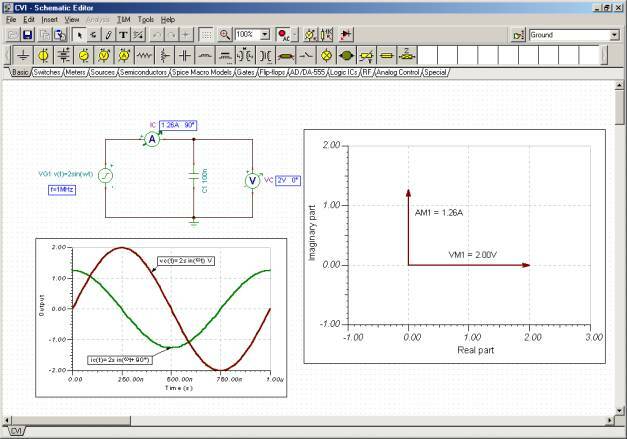 Let us demonstrate the proof above with TINA and show the voltage and the current as time functions and as phasors, in a circuit containing a sinusoidal voltage generator and an inductor. First we will calculate the functions by hand. The circuit we will study consists of a 1mH inductor connected to a voltage generator with sinusoidal voltage of 1Vpk and a frequency of 100Hz (vL=1sin (wt)=1sin(6.28*100t) V). Now let’s demonstrate the same functions with TINA. The results are shown in the next figures. Note on the use of TINA: We derived the time function using Analysis/AC Analysis/Time Function, while the phasor diagram was derived using Analysis/AC Analysis/Phasor Diagram. 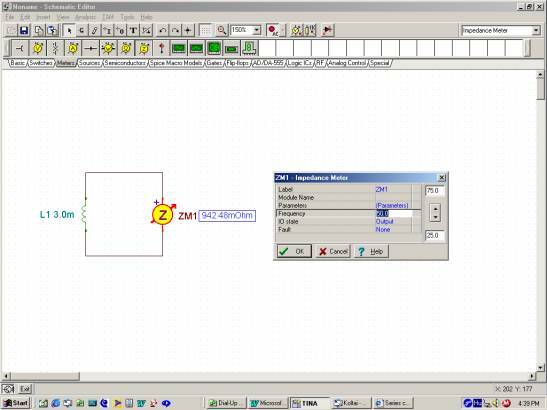 We then used copy and paste to put the analysis results on the schematic diagram. 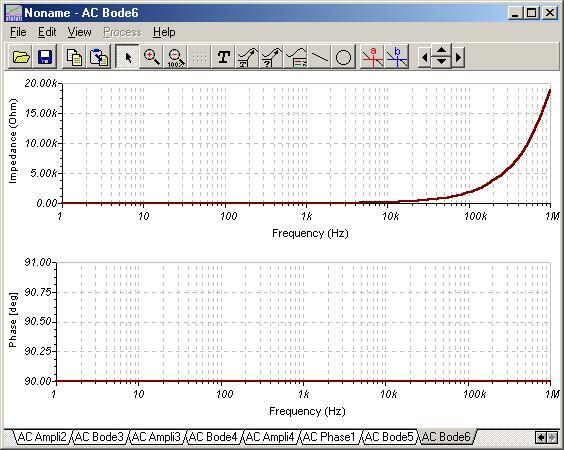 To show the amplitude and phase of the instruments on the schematic, we used AC Interactive Mode. Find the inductive reactance and the complex impedance of an inductor with L = 3mH inductance, at a frequency f = 50 Hz. You can check these results using TINA’s impedance meter. 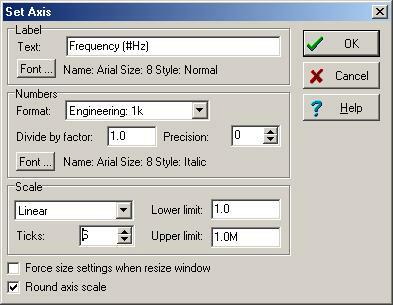 Set the frequency to 50Hz in the property box of the impedance meter, which appears when you double click on the meter. 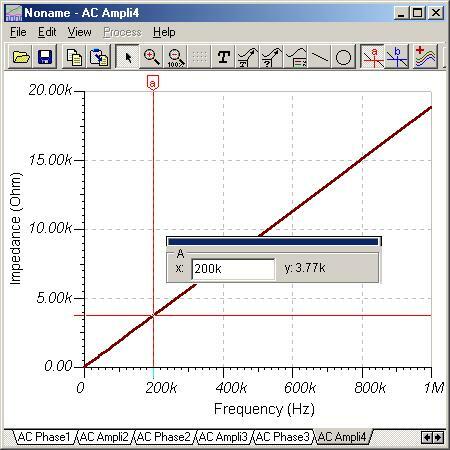 The impedance meter will show the inductive reactance of the inductor if you press the AC Interactive mode button as shown in the figure, or if you select the Analysis/AC Analysis/Calculate nodal voltages command. 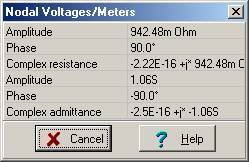 Using the Analysis/AC Analysis/Calculate nodal voltages command, you can also check the complex impedance measured by the meter. Moving the pen-like tester that appears after this command and clicking on the inductor, you will see the following table showing the complex impedance and admittance. 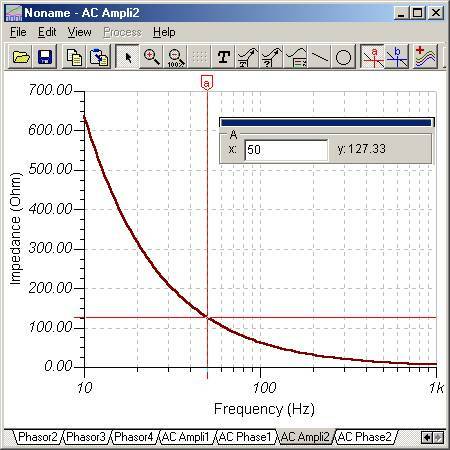 Note that both the impedance and the admittance have a very small (1E-16) real part due to rounding errors in the calculation. 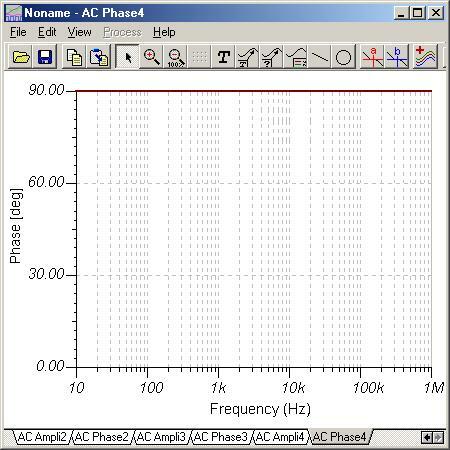 You can also show the complex impedance as a complex phasor using TINA’s AC Phasor Diagram. The result is shown in the next figure. Use the Auto Label command to put the label showing the inductive reactance on the figure. Note that you may need to change the automatic settings of the axes by double clicking to achieve the scales shown below. Find the inductive reactance of the 3mH inductor again, but this time at a frequency f = 200kHz. As you can see, the inductive reactance rises with frequency. Using TINA you can also plot the reactance as a function of the frequency. Note that in some older version of TINA the phase diagram may show very small oscillations around 90 degrees due to rounding errors. You can eliminate this from the diagram by setting the vertical axis limit similar to those shown in the figures above. A capacitor consists of two conducting electrodes of metal separated by a dielectric (insulating) material. The capacitor stores electric charge. The symbol of the capacitor is C, and its capacity (or capacitance) is measured in farads (F), after the famous English chemist and physicist Michael Faraday. As capacitance increases, the capacitor's opposition to the flow of AC currents decreases. Furthermore, as frequency increases, the capacitor's opposition to the flow of AC currents decreases. capacitor by a quarter of period. Viewed as phasors, the voltage is 90° behind (in a counterclockwise direction) the current. In the complex plane, the voltage phasor is perpendicular to the current phasor, in the negative direction (with respect to the reference direction, counterclockwise). You can express this by complex numbers using an imaginary factor -j as a multiplier. so the voltage is 90° behind the current. Let us demonstrate the proof above with TINA and show the voltage and the current as functions of time, and as phasors. Our circuit contains a sinusoidal voltage generator and a capacitor. First we will calculate the functions by hand. so the current is ahead of the voltage by 90°. Now let us demonstrate the same functions with TINA. The results are shown in the next figures. Find the capacitive reactance and the complex impedance of a capacitor with C = 25 mF capacitance, at a frequency f = 50 Hz. Let’s check these results with TINA as we did for the inductor earlier. Find the capacitive reactance of a 25 mF capacitor again, but this time at frequency f = 200 kHz. XC = 1/ (2*p*f*C) = 1/(2*3.14*200*103*25*10-6) = 0.0318 = 31.8 mohms. You can see that the capacitive reactance decreases with frequency. 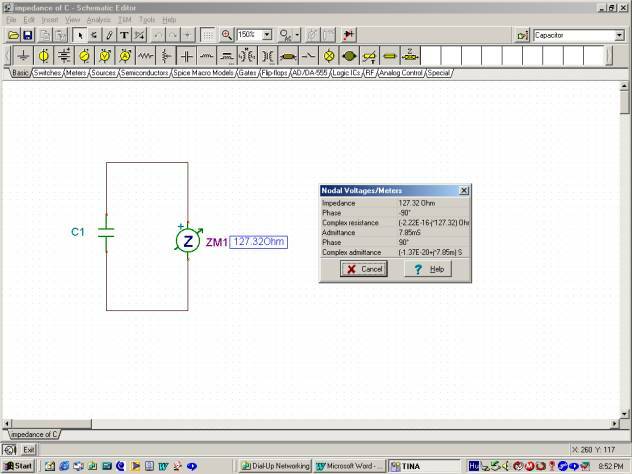 To see the frequency dependence of the impedance of a capacitor, let’s use TINA as we did earlier with the inductor. We have seen how the generalized form of Ohm's law applies to all components--resistors, capacitors, and inductors. Since we have already learned how to work with Kirchoff's laws and Ohm's law for DC circuits, we can build upon them and use very similar rules and circuit theorems for AC circuits. This will be described and demonstrated in the next chapters.